Natosha – Well, I’m still nursing two kids: one is 18 months and the other is 4 months. The first time around it was definitely more difficult to breastfeed because I had never done it before, but other than that I never had any major issues. Nursing while pregnant was not something I had planned on doing or wanted to do, but I survived. I did it because I got pregnant right away after my first baby, and it was really important to me that I nursed until my baby was a year old. Now that he’s 18 months, I’m ok with whenever he wants to quit. Nursing two I thought would be awful, and there are days when it’s not fun, but it’s actually very rewarding, especially after 6 months. It is rewarding because when you get to 6 months and they haven’t had solid foods yet, you know you sustained this child, and makes me feel like I’m the bomb! What I enjoy about nursing now is that nursing them both at the same time is a bonding experience for all three of us. They want to hold each other’s hand and kick each other so it’s an experience for all of us, and we really like it a lot! Some advice I have for new moms is this: I just never realized how tough it was going to be in the early days emotionally. But I think it helps you learn to trust yourself and trust your body, and trust yourself as a mother who’s providing for your child. It also helps to have people around who are not just wanting to hold the baby all the time, but are supportive in helping you create that breastfeeding relationship. 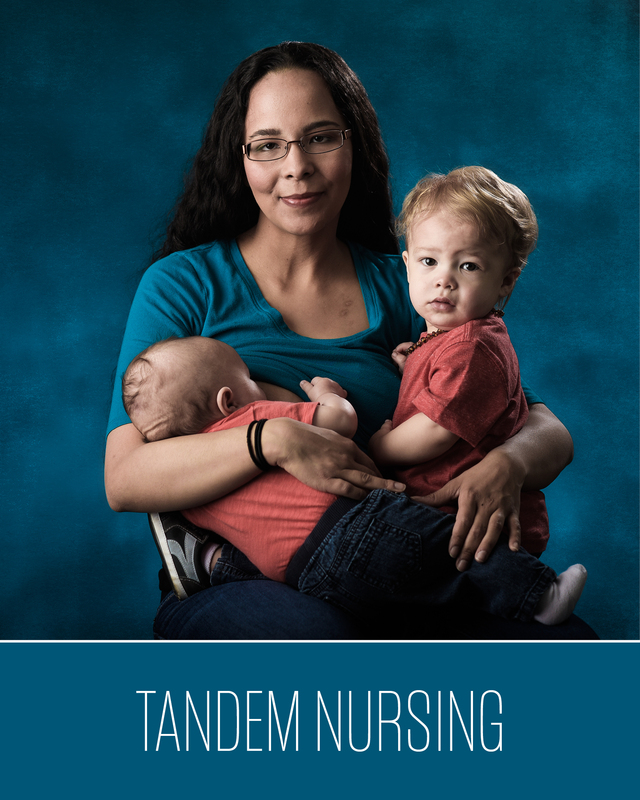 To read more about tandem nursing, click HERE.